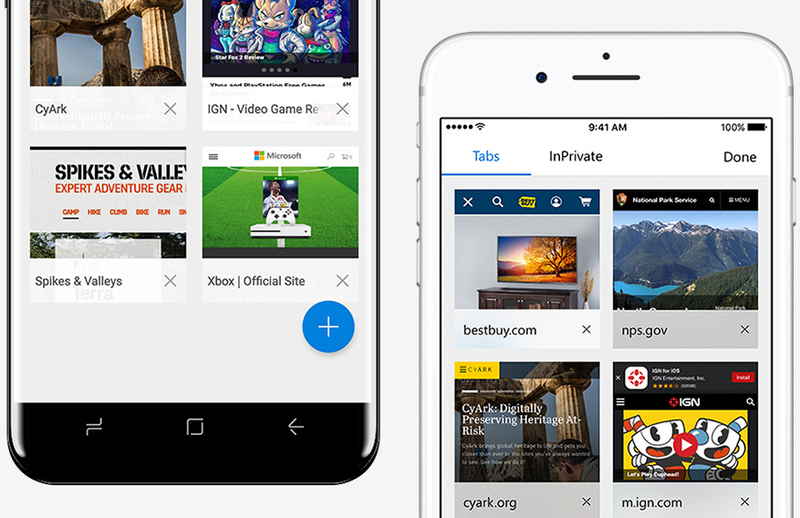 Microsoft in October launched a beta version of its Edge web browser for Android and iOS devices. A viable alternative to Chrome, Firefox and Safari, Edge on mobile features a minimalist design and the ability to view trending news stories right from the new tab screen. Its biggest draw, however, comes from a feature called “continue on PC” that allows users to pick up surfing where they left off on their Windows 10 machine (note that it requires the Windows 10 Fall Creators Update). Those that frequent non-mobile optimized sites or would benefit from a mouse and keyboard can certainly appreciate this feature. From today, you’ll no longer need to be a Windows Insider to run Edge on your mobile device as Microsoft has pulled the beta tag from the app. Edge for mobile syncs your favorites and passwords continuously in the background although as The Verge highlights, Microsoft still hasn’t added tab synching. Support for tab synching is in the pipeline but don’t expect it to arrive until at least sometime next year. You can grab Edge for Android and iOS from the Google Play Store and Apple’s App Store, respectively, free of charge. A version specifically for the iPad is also in the works but isn’t quite ready yet.